COSTA RICA -- Some creative convicts deployed a fellow 'jail bird' to help them smuggle in drugs. Unfortunately for them, it shares their talent of getting caught. 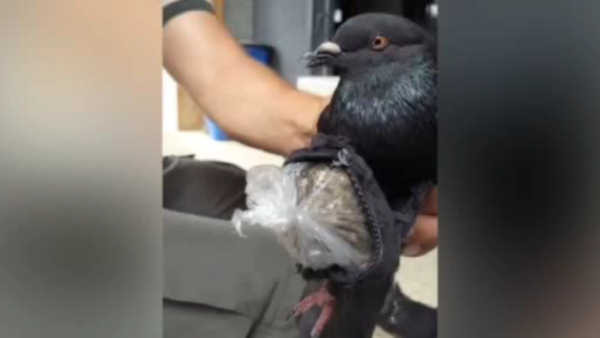 Guards at a prison in Costa Rica found nearly an ounce of marijuana and cocaine strapped to a pigeon. In the past, prisoners have used cats, food and other methods to bring in illegal drugs.